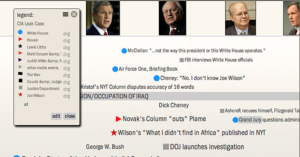 Timeglider is a web-based software that allows students to create timelines. 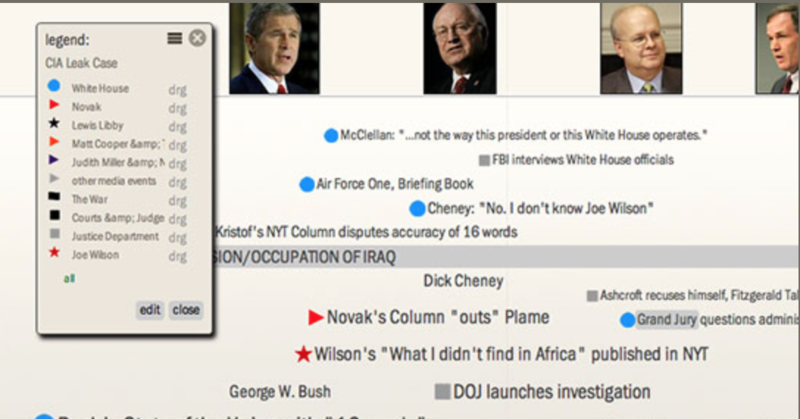 Users can create, collaborate and publish interactive timelines where the readers have many ways to explore the information. The author can focus on time periods of his or her choosing ranging from hours to centuries, making the timeline as in-depth or broad as they desire. This online tool has sharing capabilities as well for when the students are ready to make their timelines public. Timeglider’s site will create a URL that corresponds with the timeline that can be shared either through embedding it into a website or by simply sharing the URL. This provides some privacy for the student work because the reader will need to have access to the unique URL that is created. So, once a reader comes to your timeline page, they will be greeted by the introduction that was written about the timeline to give a foundational knowledge before the reader is able to explore the details of the full timeline. Once they complete the introduction they are sent to a user-created focus date for the exploration to begin. There are different options for pricing of the tool ranging from a simple free option that could be good for the classroom environment. Each student will need to create his or her own user account and they are limited by what they could create. Other than that additional pricing options can be found on the Timeglider website: https://timeglider.com/signup. This entry was posted in history, Tech Tool Tuesdays, timelines. Bookmark the permalink.